Currently filming TVB drama The Learning Curve of a Warlord <大帥哥>, Tony Hung (洪永城) is thrilled to have an opportunity to work with Dicky Cheung (張衞健). Since filming started in March, Tony had to work 12 to 13 hours on average every day. But the hardworking actor is used to the hectic filming schedule. The cast and crew will have to fly to Mainland China and complete the last segment of filming and stay until September. Tony has already started asking Raymond Cho (曹永廉), who is an expert on this topic, for advice on how to combat the humid summer weather. When Tony was told that Raymond’s six-year-old daughter idolized Edwin Siu (蕭正楠), Tony laughed and quickly said, “She hasn’t seen me yet – once she does, she’ll switch to idolizing someone else. 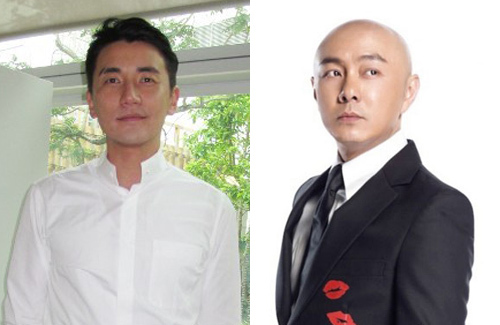 i cant wait to see dicky in a tvb drama again,he is so good back then.but why the hell to pair him up with tony hung? its totally a missmatch. a chinese saying a flower sticking on a cows head. dicky is the level of stephen chow. Looking at the cast list, not sure who the big baddie counterpart to Dicky Cheung’s character, hopefully it’s not the “someone betrays him and helps the enemy side story”, then I’m thinking Tony Hung’s character is the betrayer. Remember how bad Tony’s acting was in Captain of Destiny.